Dubai: His Highness Shaikh Mohammad Bin Rashid Al Maktoum, Vice-President and Prime Minister of the UAE and Ruler of Dubai, announced on Sunday the launch of “Marsa Al Arab”, a tourism project attached to the Madinat Jumeirah. 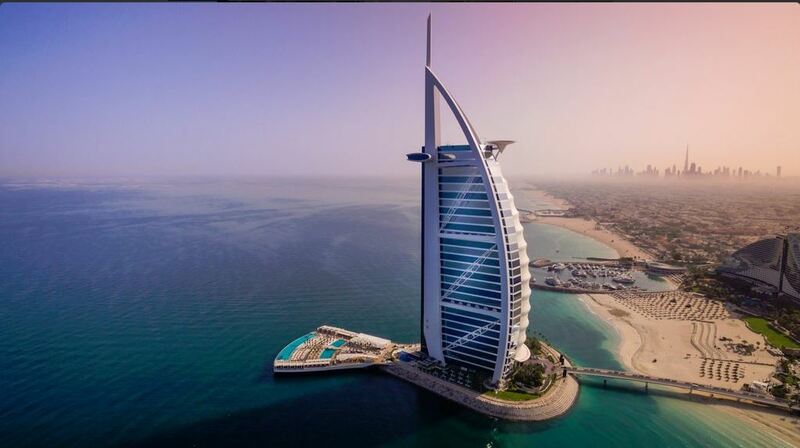 On a visit to Dubai Holding [offices], the global investment holding company, Shaikh Mohammad revealed plans to develop two islands, one on either side of the Burj Al Arab Jumeirah. The project will break ground in June 2017 and will completed by late 2020 at a total cost of Dh6.3 billion, Dubai Holding said in the statement. Through this resort, Jumeirah Group will continue its attempt to lure families to its properties, introducing new leisure concepts and services to complement its existing family-focused portfolio. And overall, Dubai Holding will add 2,400 hotel rooms to Jumeirah Group’s portfolio, bringing its total offering to 8,428 rooms. There will be 400 new F&B outlets throughout the destination. The project will feature a new family-oriented hotel, whilst Wild Wadi Waterpark will be relocated closer to the beach. The new location will more than double Wild Wadi’s size, adding new rides and record breaking attractions, according to the statement. Dubai Holding will also develop Marine Park, a marine life educational and entertainment centre. With a 1,000 seat theatre, the park will feature shows that showcase various elements of marine life, allowing its visitors to interact with exotic aquatic animals and fish. Together, the enhanced Wild Wadi and Marine Park will cover an area of 2.5 million square feet. The new family destination will house a dedicated theatre with a capacity of 1,700 seats, which will become home to Cirque du Soleil, a professional theatre troupe. “The launch of this new and ambitious project is in line with the directives of the visionary leadership to provide the finest and rewarding tourist experiences for visitors to Dubai, as well as enhance Dubai’s position as a global tourist destination. We are proud of the vital role that Dubai Holding plays in this sector through supporting innovation and contributing to the economic diversification of Dubai,” stated Abdullah Al Habbai, Chairman, Dubai Holding. The project is expected to boost job creation and provide a range of opportunities for UAE nationals in the tourism and hospitality sector, the company said.